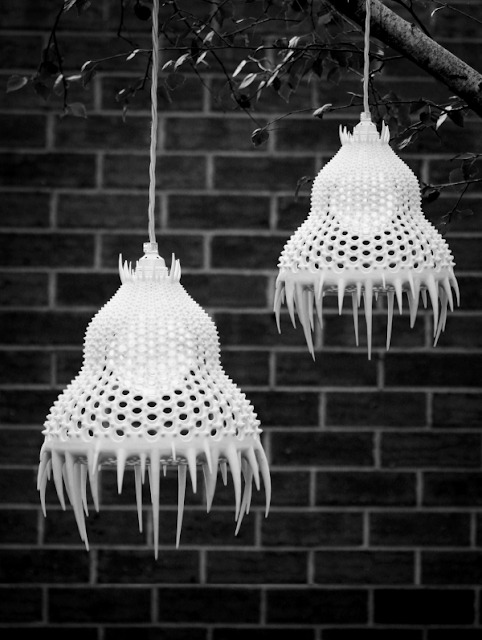 Oh so ethereal and otherworldly are these Plankton lights by Malinko, the Adelaide-based studio of Marta Cherednik. Inspired by ocean microorganisms, the lamp is one of a kind. Its light, intricate body is produced via 3D printing using durable nylon-based powder and features a great amount of detail. The lamp uses LED light bulbs that consume minimum energy. Its surface is covered in flock that gives it that unexpected soft and velvety finish. Such beautiful innovation deserves high praise - recognised at the Sydney Design Awards 2013 with a win in the Product Design category for Lighting.